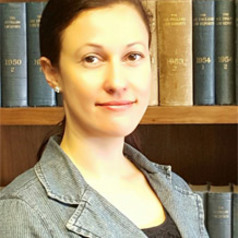 Dr Ana Beduschi is a Senior Lecturer in Law. She was a visiting researcher at the Max Planck Institute for Comparative Public Law and International Law in Heidelberg, Germany (2017). She is also a Barrister (Attorney-at-Law) in São Paulo, Brazil (since 2001). Her research and teaching focus on international human rights law, technology, artificial intelligence (AI) and Big Data, and international migration and refugee law. Her publications cover several areas of international human rights law, technology and migration. Recently, she has published on the implications of Big Data for international migration and human rights law, the impact of digital identity and blockchain on human rights protection, vulnerability and the protection of vulnerable migrant children’s rights by international human rights courts.